During your childhood you probably drank milk daily without a care in the world. Who can blame you, if you were a good kid you’d do as you were told! 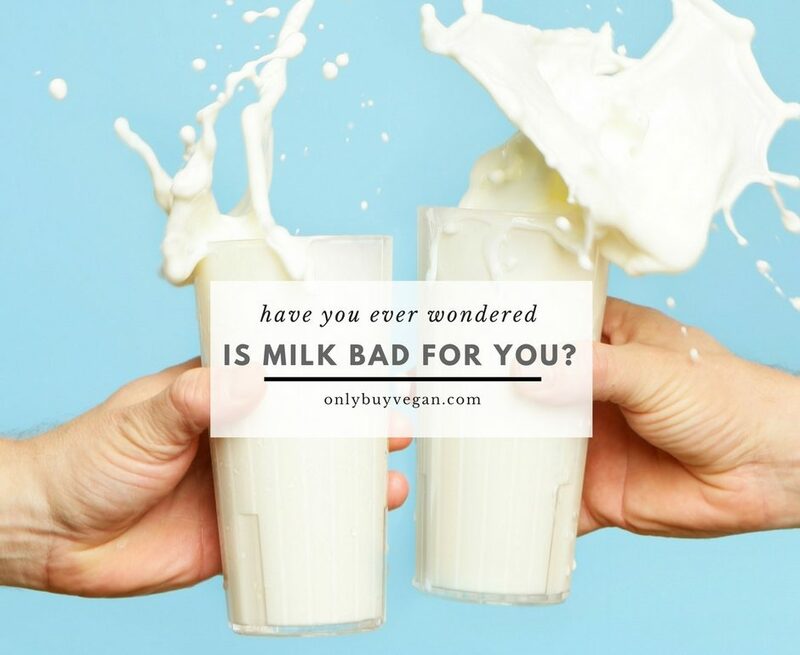 But have you ever wondered, is milk bad for you? When it comes to marketing, milk is often referred to as “Nature’s Perfect Food”. It’s recommended by several health professionals and even people on TV, so it must be true, right? Truth be told, dairy manufacturers spend billions convincing us we need milk in our everyday lives. They tell us to drink it on the television, in our newspapers and even on our cereal! With so much money spent on advertising you would think they were trying to convince us to drink something toxic. If milk is as good as they say it is, what’s with all the advertising? So do we really need it? Do we really benefit from drinking milk regularly, or is it actually causing more harm than good? To find out for you, we’ve done extensive research into milk and the effects it has on our bodies. Some of these findings might be hard to stomach as dairy manufacturers have been hiding them for a long time. Here’s everything you need to know about milk and why it’s bad for you. The first reason why milk is bad for you is because it contains a high amount of saturated fat and cholesterol. Dairy manufacturers have cleverly managed to express milk’s fat content as a % of weight. Not only does this cause confusion, but it also means manufacturers can get away with selling high fat and cholesterol milk. When dairy manufacturers label their milk as only 2% fat, it sounds like a low fat content. However, expressed as a % of total calories, 2% milk is in fact 31% fat! Yikes! To make things worse, whole milk is 49% fat, cheese is 40-70% fat and butter is 100% fat. Eating such high in fat foods contributes to the development of heart disease, cancer and strokes. If you don’t want risk developing numerous diseases then put that bottle down! If you rely on drinking a lot of milk in your diet then it’s possible you have iron deficiency. Iron deficiency is a lot more likely to occur on a dairy-rich diet compared to others. Cow’s milk is very low in iron and if you’re relying on it to give you nutrition, then think again. In addition to this, clinical studies have shown that infants consuming cow’s milk lose some blood from their digestive tracts. For this reason pediatricians recommend that infants below one year of age are not given cow’s milk. This is because there is a much higher chance of the infant developing type 1 diabetes. Other effects that can occur are dehydration and the risk of developing allergies to milk proteins. If doctors advise infants not to drink milk due to the increased risk of developing allergies and diabetes, why would you continue to drink it after? As we mentioned above, drinking milk can dramatically increase the chances of you developing diabetes. Insulin dependent diabetes, (Type I) is linked to many dairy products including, you guessed it, milk. A specific dairy protein in milk sparks an autoimmune reaction which destroys the insulin producing cells of the pancreas. This can actually happen at any age and is not just limited to infants. Cow’s milk contains several grams of protein, often in the form of casein. It also contains plenty of other proteins in much smaller amounts. There are 4 different types of casein proteins which are alpha-S1, alpha-S2, beta and kappa caseins. There has been research to show that a beta-casein variant, known as A1 beta-casein has been linked to causing type 1 diabetes. In genetically vulnerable children, A1 beta-casein may set off an immune response that later turns against the beta cells in the pancreas. 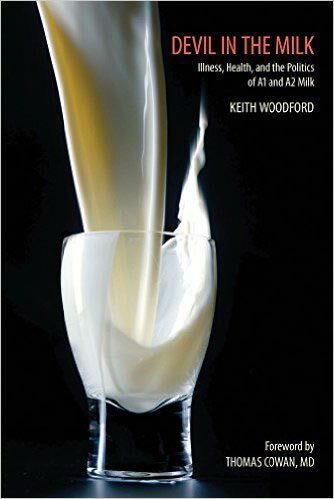 To read more about how milk can cause heart disease, type 1 diabetes, autism and schizophrenia, be sure to read Keith Woodford’s book. The chances of developing ovarian cancer is linked to many dairy products including milk. Milk’s sugar which is know as lactose is broken down by the body into another sugar, galactose. In turn, galactose is broken down further by enzymes. According to studies, when dairy consumption exceeds the enzyme’s’ capacity to break down galactose, there is a build-up of galactose in the blood. This can have serious affects on a woman’s ovaries. Some women have low levels of these enzymes, and when they consume dairy products on a regular basis, their risk of ovarian cancer can be much higher compared to other women. The problem is the milk sugar, not the milk fat, so if you’re thinking of switching to low fat dairy products, think again. If all the points above aren’t enough to make you realise milk is bad for you, then this will. There are several forms of cataracts that have been linked to dairy products including milk. A interesting medical study showed that greater milk intake showed a positive correlation with contracting cortical cataracts. The galactose that is a breakdown product of lactose appears to be capable of damaging the lens of the eye, leading to cataracts. If you’ve been drinking a lot of milk in your diet then it’s not too late to stop. In fact, we recommend eating carrots to help repair your eyes. Ditch the dairy and switch to vegan alternatives. One of the most common problems people face when drinking milk is lactose intolerance. Many people are unable to digest the milk sugar, lactose which can result in diarrhea and excessive gas, nasty! On the other hand, they may consider themselves lucky. Those who can tolerate lactose, cannot rapidly breakdown the galactose which circulates in their blood. This contributes to a range of different health problems covered above such as cataracts and ovarian cancer. There’s a good chance that lactose intolerance may be nature’s early warning system! Milk is one of the most common causes of food allergies. Respiratory problems, canker sores, skin conditions, and other allergies can be caused by dairy products. The sad thing is that many people never know that their problems are caused by dairy sensitivity. A break from dairy products often leads to surprising improvements. In particular, many acne sufferers should give themselves a long vacation from dairy products to see whether their condition improves. The chances are, it most definitely will. This interesting study confirms the relationship between milk consumption and acne in teenage boys. If spots are getting you down, then ditch the dairy and see if you notice a difference. It’s no secret that certain farmers use pesticides and other drugs on their farms to protect their crops. The same applies to cows and the milk they produce. Obviously cows eat grass as part of their primary diet. However, if the grass has been treated with drugs and other pesticides the cows will consume them too. This means that these drugs and pesticides will be absorbed and will eventually end up in your milk. Ewww! But that’s not all, cow’s are actually regularly given antibiotics, growth hormones and are fed questionable GMO feeds by farmers. About a third of all milk products are contaminated with antibiotic traces. And don’t think you can escape this with any other type of milk. This affects ALL animal milk including goat’s. Unfortunately this is the sad nature of commercialised milk. Milk on it’s own isn’t that healthy in the first place but when combined with various other drugs you literally have a milk cocktail of chemicals. If your mom ever told you that drinking milk will make your bones strong, then she was lying. But she didn’t do it on purpose! Dairy products, despite common myths, do not stop osteoporosis. For those of you that don’t know, Osteoporosis is a condition that weakens bones making them a lot more fragile than normal. The condition develops slowly and is only diagnosed when you fracture a bone. Evidence shows that the rate of bone loss is largely unaffected by dairy products . Numerous studies have shown that the countries with the highest intake of dairy products also have the highest incidence of osteoporosis. High protein foods, such as meat, eggs and dairy products leach calcium from the body by causing excessive calcium loss through the kidneys, making the kidneys work harder and causing loss of minerals such as calcium. One out of every five babies suffers from colic around the world. Pediatricians learned long ago that cow’s milk was often the reason for this condition. Moreover, breast feeding mothers can have colicky babies if the mother is consuming cow’s milk. The cow’s antibodies can pass through the mother’s bloodstream into her breast milk and to the baby. The solution? Stop drinking milk! Not only are you harming yourself with all the points above, but you’re also harming your baby. Is Milk Bad For You? 100% Yes. If those 10 reasons weren’t enough to convince you to ditch the milk, then take a look at this awesome infographic! As you can see, it’s pretty clear that milk is bad for you. Not only does it increase your chances of getting diabetes, cataracts and even cancer but it can also leave you with iron deficiency and acne. The whole commercial process of milk and dairy is not only cruel to animals but leaves the milk full of toxins and chemicals. With so many other healthy alternatives available nowadays you should really ditch the dairy and swap to something else. If you really need milk in your life for your cereal or tea, then switch over to soy milk. Not only is it organic and an excellent source of calcium, but it is also free from dairy, lactose and casein which are responsible for most of side effects of milk. Available in several different flavors, the chances are you won’t even notice the difference from diary. The only difference you will notice is the improvement in your overall health and the satisfaction of knowing no animals were harmed producing it. Make the switch today, ditch the dairy! If you want to know more about the effects milk and a high dairy diet can have on you, then be sure to head over to WhiteLies.